The understated thrill of the road trip is in the realization that you have the choice to keep going; to never come back. Responsibility washes over and away from me in a wave of relief. I exhale. I stare out the window. I sleep. 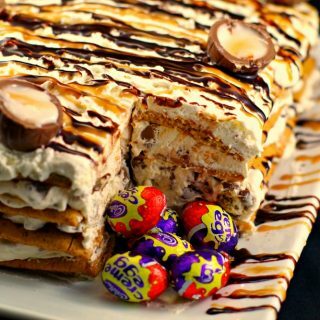 I dream. We’ll eat grocery store roast chicken, continental breakfasts and we’ll swim in heavily chlorinated swimming pools. Although we sleep in hotel beds, the van is our home – our cocoon. It is here that we really live; we bond and we grow. We don’t have to keep to a schedule – we have the freedom to go where and when we want. We’ll drive from Calgary to Winnipeg again, my family and I. We’ve been taking road trips with our kids since the first months of their lives and long before they were even born. And we’ve done this trip a number of times over the years. Over the years we have taken road trips to Mt. Rushmore, Las Vegas, Portland and Minneapolis. And last year we had the unforgettable experience of driving through Colorado to New Mexico. Because I absorb so many life experiences through food and cooking, my souvenirs are usually aprons and ingredients. So to mark the trip, I bought a jar of authentic roasted New Mexican green chiles. 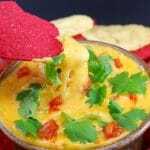 And now, almost a year later, on the eve of our next road trip, I will honor last year’s trip by using them in an authentic Chile Con Queso dip. Aside from the usual grocery store grub, we do eat the odd meals at restaurants. 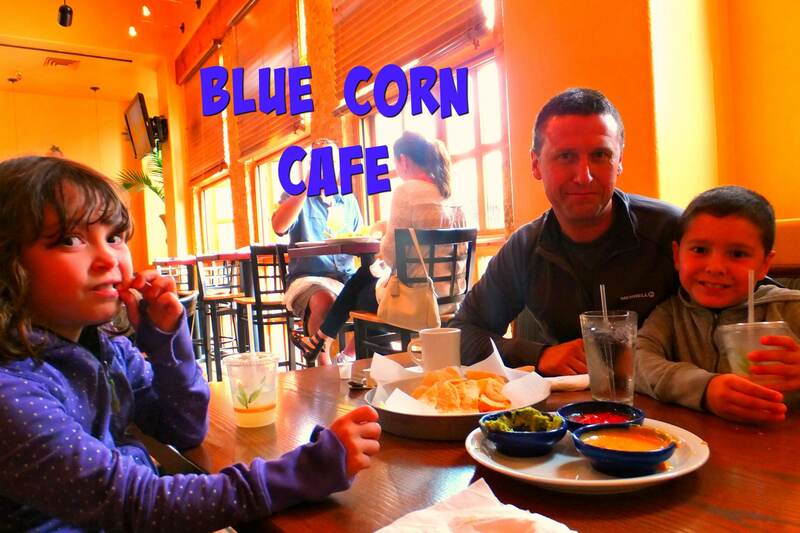 One of the many highlights of the trip was in Santa Fe, New Mexico, where we ate dinner at the Blue Corn Café. It came highly recommended in reviews, and for good reason. It was unpretentious, had great service and awesome authentic New Mexican Food. 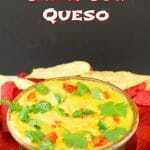 This Chile Con Queso recipe is made without Velveeta cheese. 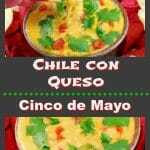 It’s a quick, delicious and easy recipe to make and you don’t need to go to New Mexico to buy the chiles. You can buy them at any grocery store. Although, you really should get there one day – it’s worth the trip! We definitely plan to go again. 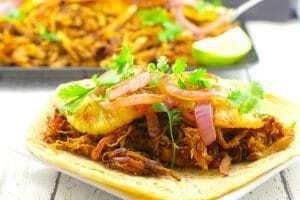 If you like authentic Mexican food, then give my Gluten-free Slow Cooker Pork Carnitas a try! 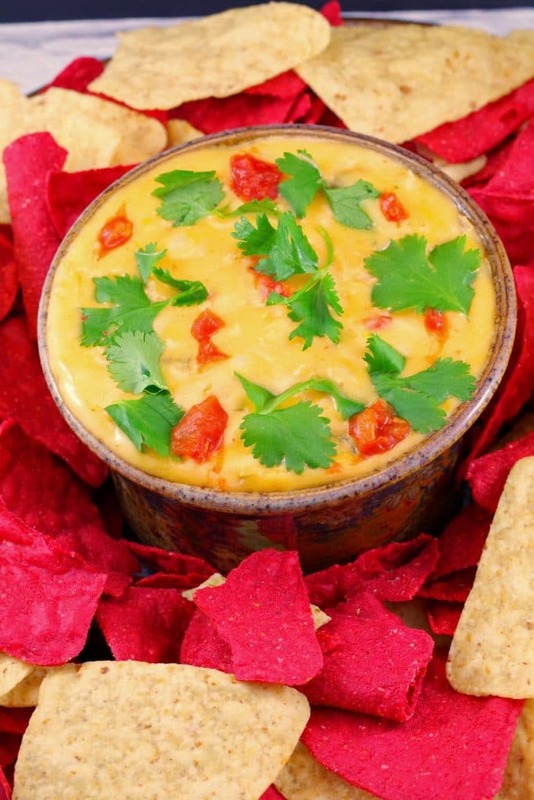 Author Adapted from Rhoda Boone's "Hatch Chile Con Queso"
In a medium pot over medium-low heat, melt the butter. Add the onion, garlic, and salt and cook, stirring, until lightly browned. Once the liquid has evaporated, about 2 minutes more, add the flour and cumin and whisk into the butter mixture and cook until lightly browned, 30 seconds to 1 minute. Increase the heat to medium and slowly pour in the milk, whisking continually until sauce is thick enough to coat the back of a spoon, about 5 minutes. Lower the heat to medium-low and add the cheeses, a 1/3 of it at a time. Stir until cheese in incorporated before adding more cheese. ** Note: I bought "mild" because I was worried about to much heat, but the mild had no bite, whatsoever. If you want some heat, add some jalapeno peppers or tamed jalapeno peppers to your liking. I always buy food when I travel to new places, as well. 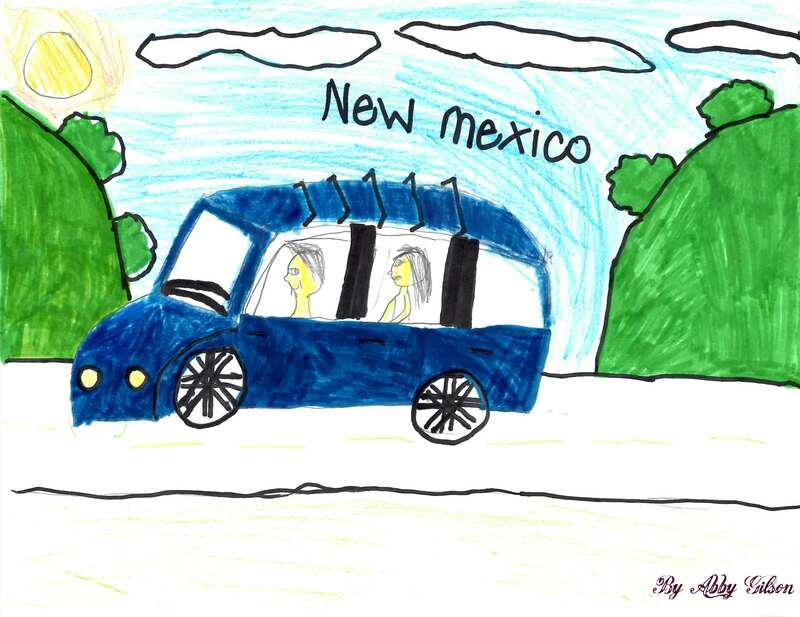 And thank you for such a nice blog on my home state of New Mexico! The only thing you might want to change is the spelling of Santa Fe. There’s an “A” at the end of Santa, not an “E.” 🙂 The queso looks amazing, too! Thanks! OMG I cannot believe I spelled that incorrectly – was not paying attention! Nice to know someone else that enjoys bringing home ingredient souvenirs. By the way, you live in an amazing state – we cannot wait to get back to SantA Fe, spend more time in Albuquerque (I hope I spelled that correctly) and do a lot more exploring! 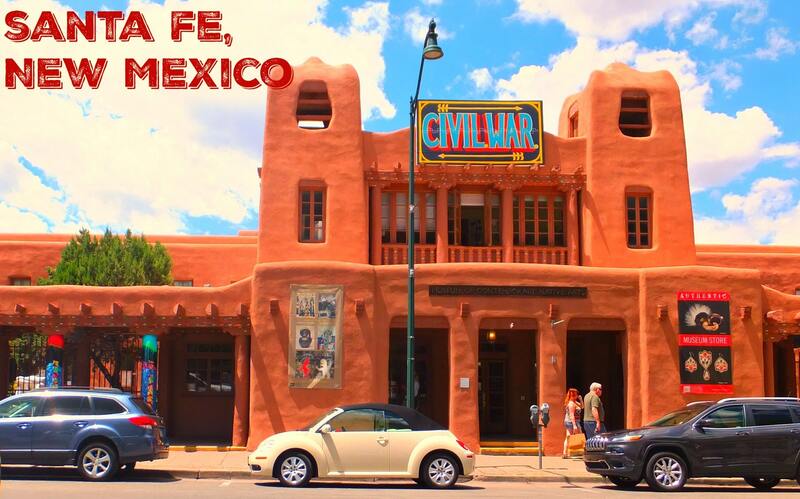 Santa Fe is a place we’ve always wanted to visit. 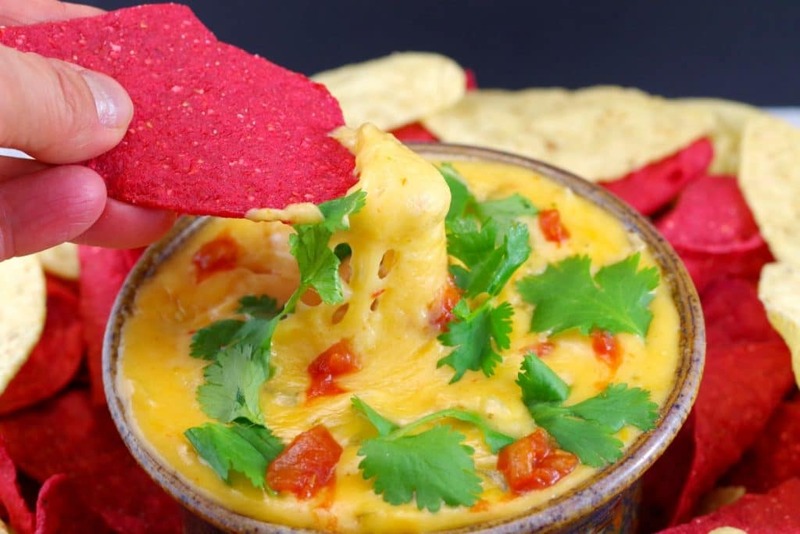 This looks like such a delicious dip and a must try. Thanks for posting. I have been in search of a workable recipe for liquid cheese (not from a jar) so was thrilled to find your post through The Growing Edge. Reading your post brought back wonderful memories of my trip to Santa Fe and Alburqueque so many years ago! Wonderful- I hope you like it! I cannot wait to get back to Santa Fe myself :)!